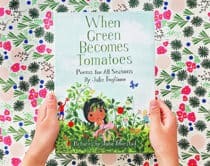 Kids are fascinated by the vast ocean world before them filled with colorful creatures that carry distinct characteristics like rainbow fish, dangly jellyfish, menacing sharks and leggy octopus. 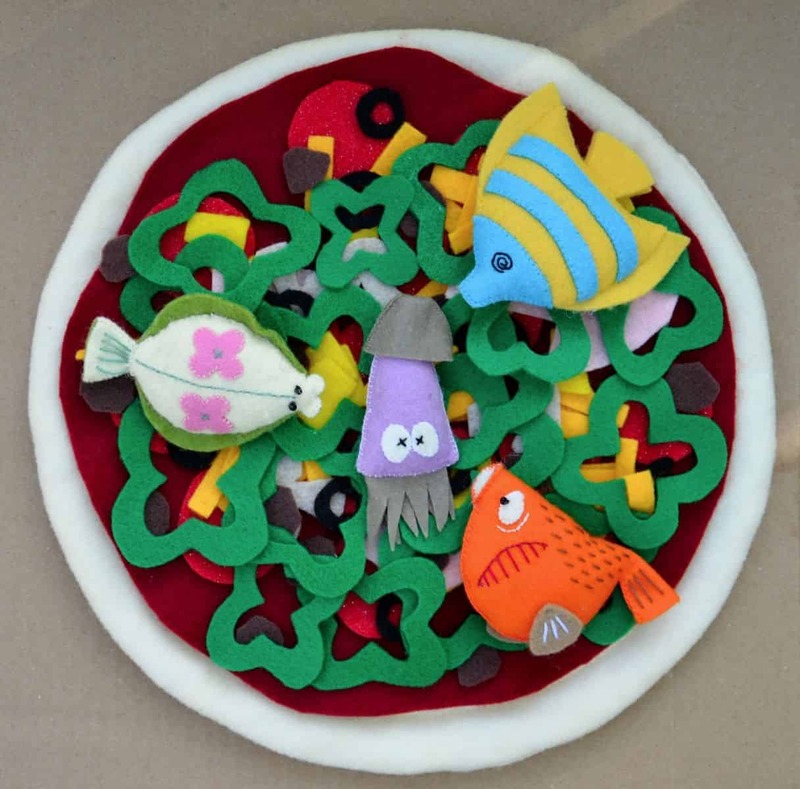 Make these dashing ocean animals come alive with these fun and colorful under the sea crafts. 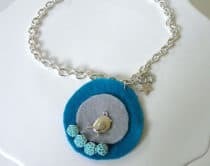 Many can be made by kids and used to explore learning about the ocean and creatures that inhabit it. 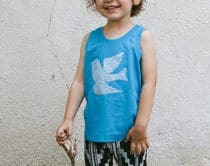 What are your favorite ocean crafts for kids? 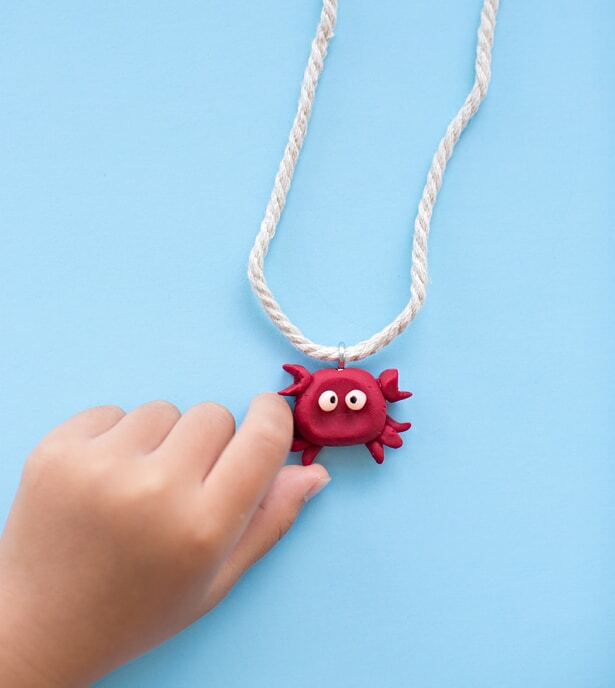 With just a bit of oven bake clay, you can mold a cute little crab and turn it into a pendant or charm to make a fun accessory for kids. 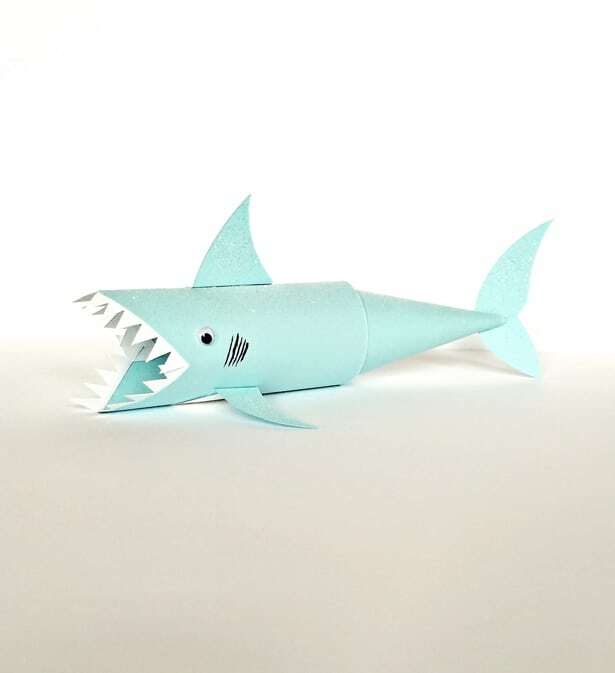 This cute paper tube shark won’t bite and is totally tame to take along for some fun under the sea play. 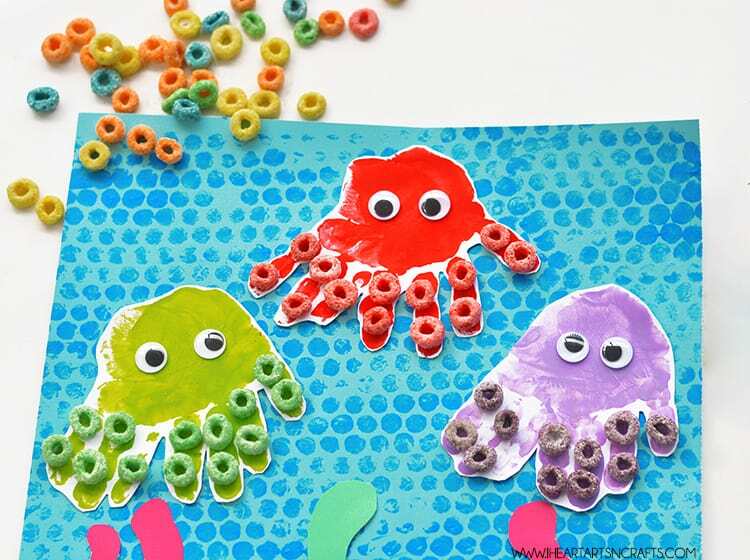 Not only are these the sweetest octopus you’ll ever see, they also include a fun matching activity – perfect for toddlers learning their colors. 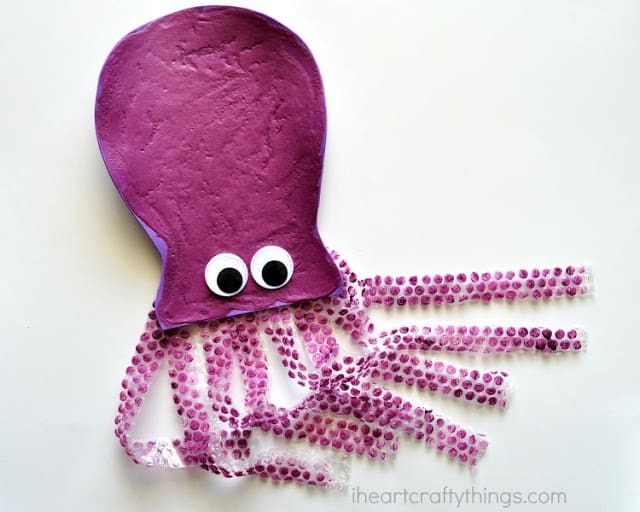 Here’s another adorable octopus craft you’ll want to get the puffy paints out for to create this unique textured creature. 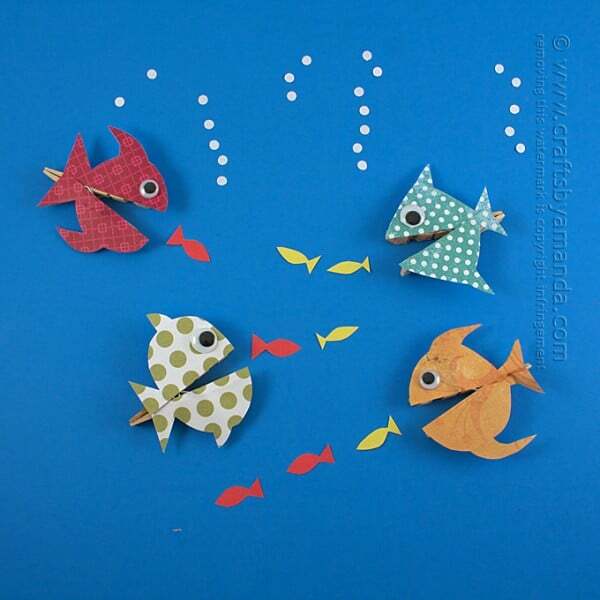 A simple and bright paper craft that makes colorful Kirigami fish! 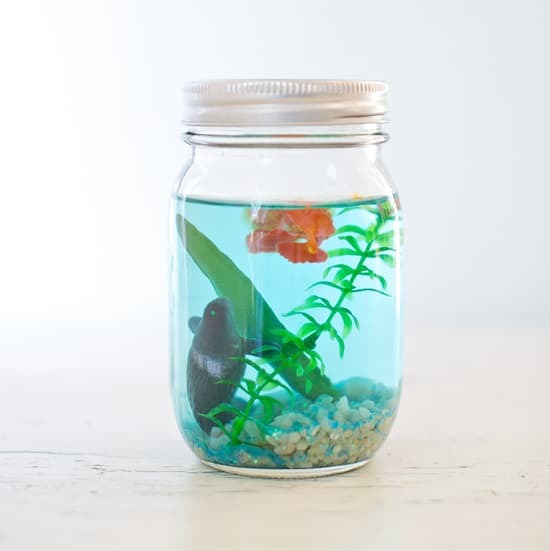 One of our most popular crafts to date – kids will love making their own mini jar aquarium and the bonus is there’s absolutely no maintenance required. 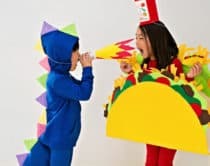 Perhaps one of the most unique pizza flavors we’ve ever encountered – but there’s no doubt kids will get a big kick out of making these cute felt fish toppings. 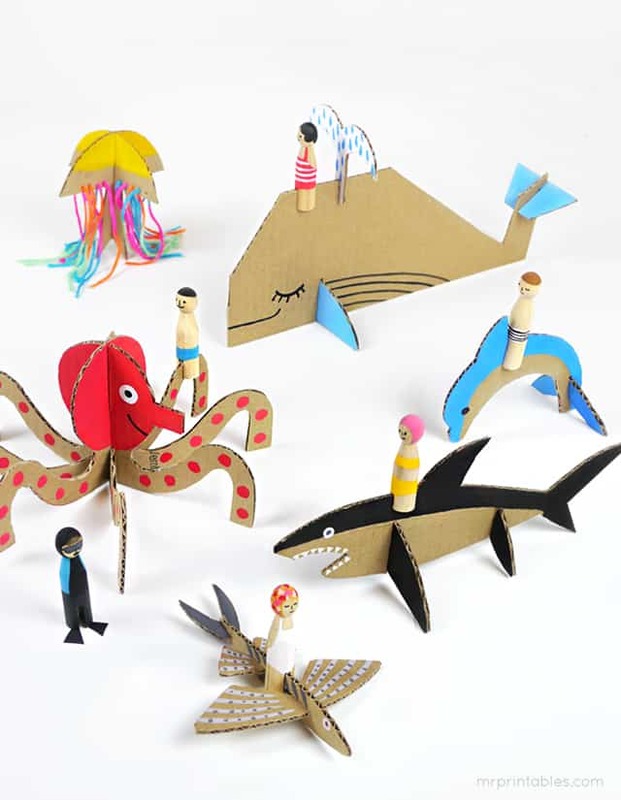 Get the little ones excited to go on an under the sea adventure with these creative cardboard sea creatures. 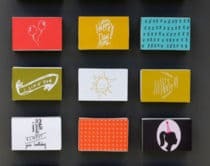 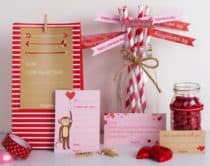 They easily slot together and require no gluing which makes them easy for kids to help make and come with a handy free printable. 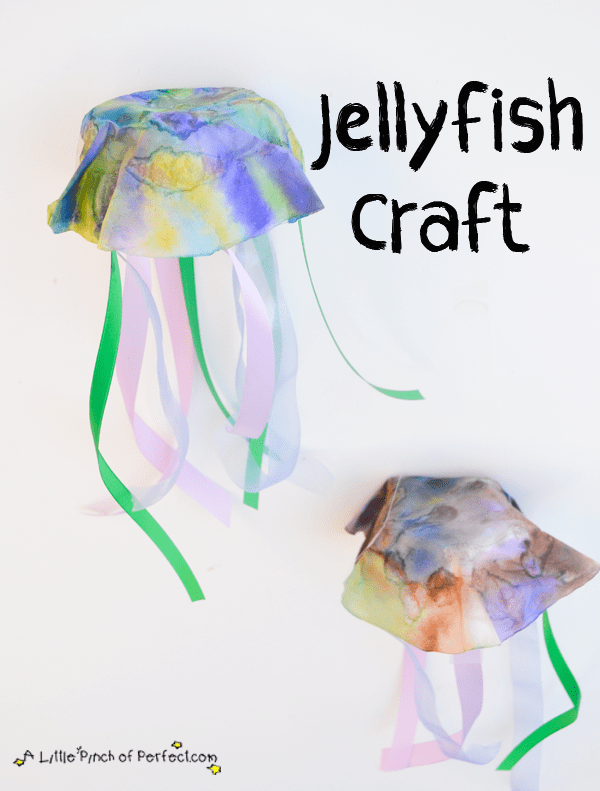 This pretty jellyfish craft goes along with learning the letter ‘J’ and also incorporates a fun fine motor skills activity to boot. 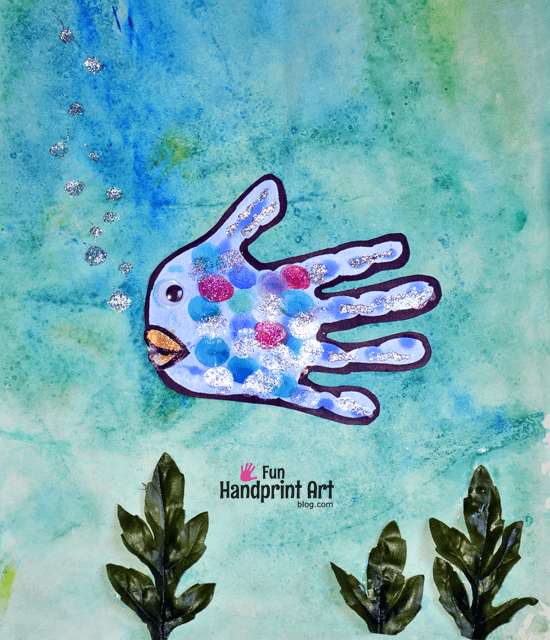 Capture your child’s sweet handprint and turn it into a colorful fish they’ll love painting to make it stand out. 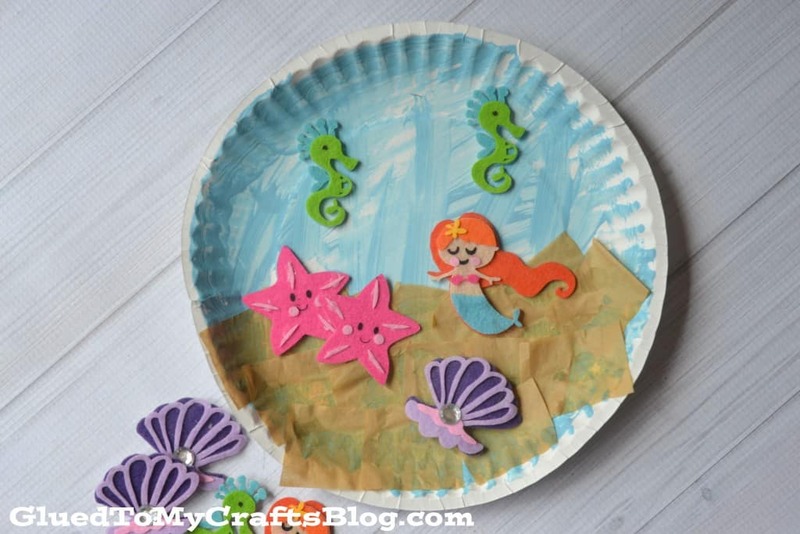 We can’t get over how adorable this simple paper plate under the sea scene is, decorated with your favorite ocean friends. 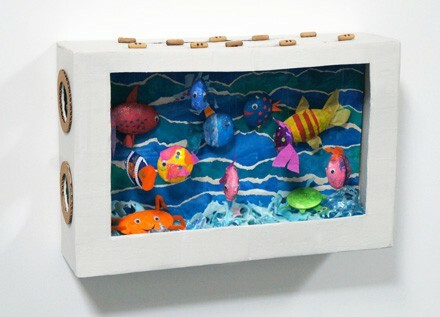 Turn plain clothespin into a lively school of colorful fish for some instant ocean play. 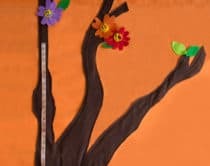 What kid doesn’t like paint and glitter? 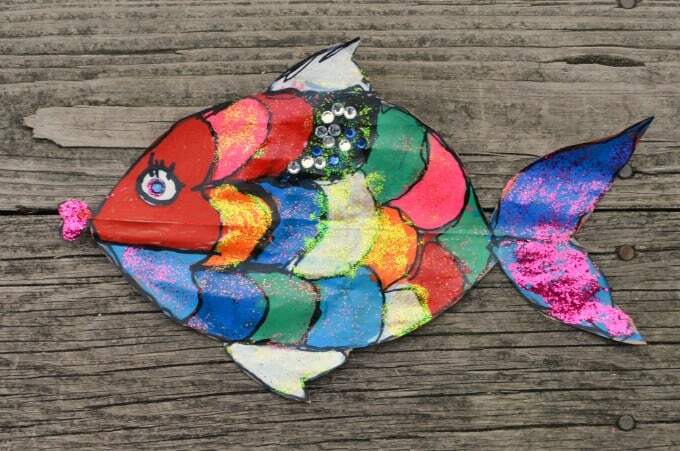 Keep your little artist busy with this vibrant fish art project that results in a dazzling array of rainbow colors. 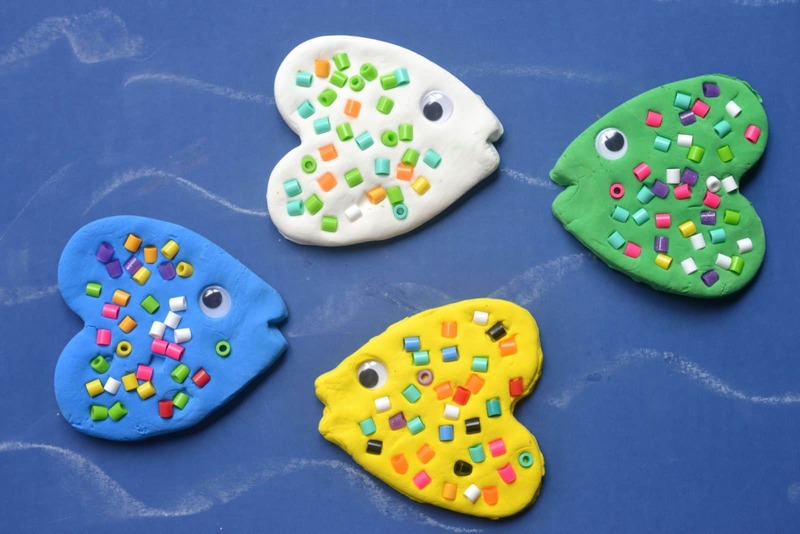 Kids will love molding these 3D clay fish into fascinating and colorful sea creatures. 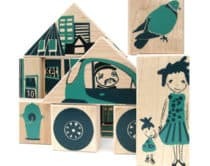 Get your recycled craft on with this fun cardboard aquarium filled with mesmerizing ocean animals kids can get hands-on in making. 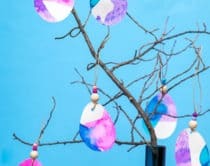 For more ocean ideas, check out these pretty seashell crafts and more creative kids’ projects here.